to make & to find wall. I am constantly gathering items that I find, building on my pile of polaroids and instax photos, and making 'stuff' here and there. So I thought, hey, why not slap it on the wall if I like how it looks? And I do! I love it! I just look over and feel a jolt of inspiration, a sense of calm (in the rest of my sometimes messy room) and though it sounds silly, a sense of pride. People put up their achievements on the wall- family photos, diplomas and awards. So why not celebrate creativity and the joy of finding and showcase things that you love to look at? something made with your hands is something worthwhile. The only thing I have to be careful of now, is that this wall doesn't expand TOO much and overtake my whole entire room! It might happen, I can't make promises. The great thing about a wall like this is that you can mix, match and change what you display as often as you like! 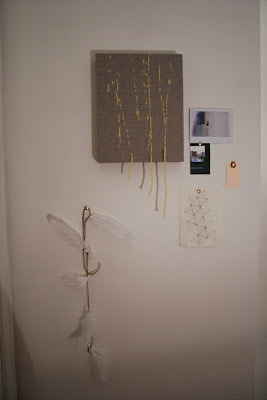 There is little commitment to what you are displaying, and since I am using tacks I just have to fill a few tiny holes if I want to rid of the to make & to find wall. If you don't want tacks in your walls, you have other options too! 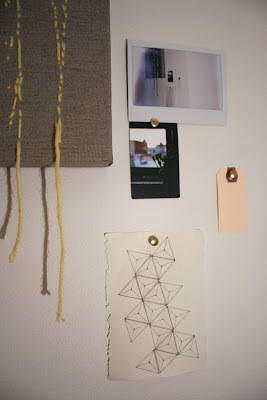 Use a cork board or even use a sticky non-permanent adhesive gummy type thing to stick things onto your wall. Either way, the possibilities of your display wall are plentiful. As for right now, I am smitten and cannot wait to add more! i am an artist and teacher: draw, paint, photograph, type, write, d.i.y., collage, collect & display. i love adventures: travel, road trips, camping, picnics, thrifting, live music. 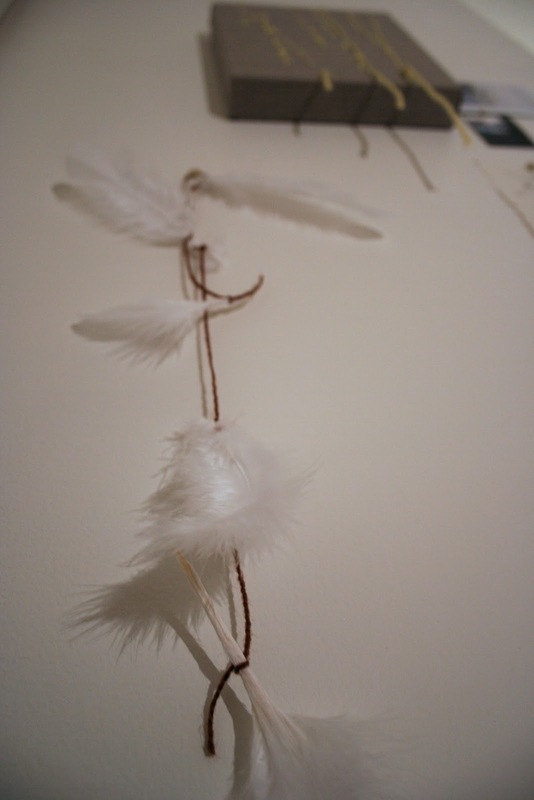 i am a dreamer: inspiration, destination, thinking, daydreaming, nostalgia, documentation.